Stacy Tilton Reviews: The Altec Lansing Mini LifeJacket Jolt Speaker is the "Total Package"
The Altec Lansing Mini LifeJacket Jolt Speaker is the "Total Package"
My boys spend a lot of time outdoors. Pretty much any time they aren't at work they are outside doing something. And they are pretty much always listening to music while they are doing it too. They say it helps them to stay motivated to move. I guess I can see that because I enjoy music when I'm cooking or cleaning. It is definitely nice to have that added background sound. 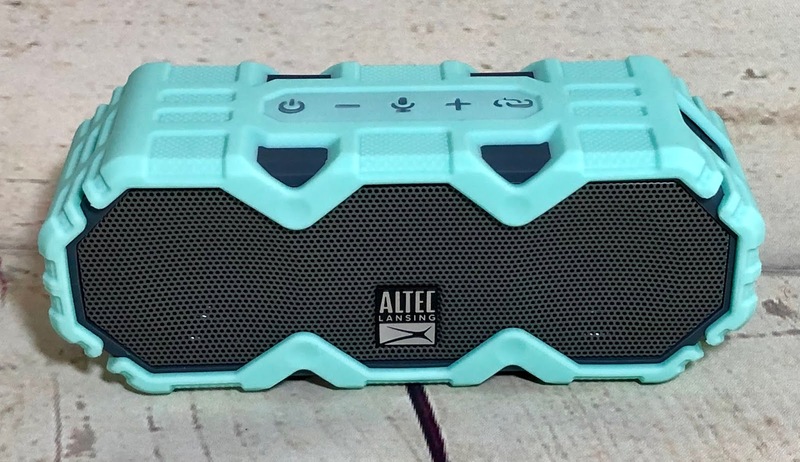 So I'm sure you can picture their excitement when this awesome speaker arrived from Altec Lansing. It's called the Mini LifeJacket Jolt Speaker and man does this thing put out some sound. For a speaker that's under 7" wide it really is quite the little performer. It's water proof, snow proof, and dust proof making it the perfect outdoor speaker for the boys. No worries if they accidentally get it dirty or forget it outside and it rains. Heck it even floats so they can take it out fishing with them and not have to worry. It's honestly the "total package" when it comes to portable speakers. The Mini LifeJacket Jolt is the Bluetooth speaker that puts out impressive audio despite it's small size. The IP67 waterproof rated design lets you bring your music with you wherever you go with a 100 ft wireless range! Connect multiple Mini LifeJacket Jolt speakers together for double the sound. Up to 16 hours of battery plus a built-in smartphone charger lets you stay connected and the music jamming for hours. Ask questions, get answers and organize your day with "Just Ask", a feature that allows you to access your Siri and Hey Google voice assistant. Includes Qi Wireless Charging, a new feature that will keep your phone and other QI enabled devices powered with ease. 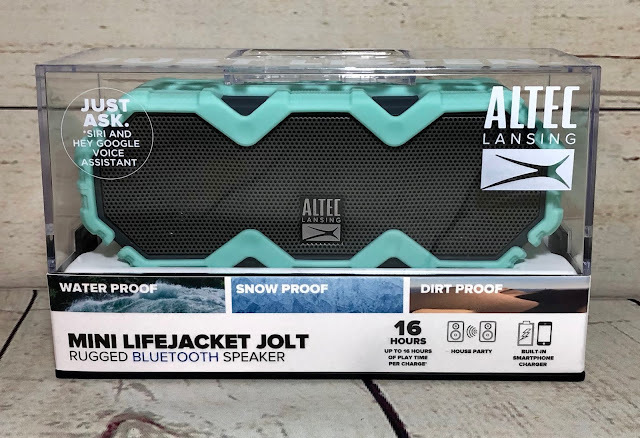 Buy it: You can purchase the Altec Lansing Mini LifeJacket Jolt Speaker on the Altec Lansing website.